How to gain 20 credits to the MA Education Professional Practice (part time online) with the University of Cumbria following completion of Debbie’s course. This course will cover the ‘What, Why…then How’ of teaching reading, spelling and handwriting (from code to words to sentences to texts). Our Phonics Training Course is about very focused (core) phonics knowledge and practice introduced incrementally (systematically), for both teaching and learning purposes, alongside high-quality incidental (that is, non-systematic) phonics teaching and learning provided in simple ways as the opportunity arises. This ‘Two-pronged systematic and incidental synthetic phonics teaching and learning’ approach draws upon considerable experience of teaching and teacher-training, an in-depth knowledge of the field of reading and spelling instruction, and substantial programme-design insight. Apart from teaching phonic work systematically and discretely for short periods of time, the best practice also took advantage of opportunities to reinforce aspects of phonic knowledge and skills throughout the curriculum. The most obvious examples of this were when teachers encouraged children to apply their developing decoding and encoding skills to the reading and writing of fiction and non-fiction in work across the curriculum. This interplay of phonic work within the wider curriculum was a strong feature of good teaching: it helped children to see the purpose of phonic work as they reinforced their developing skills by applying them to worthwhile and interesting curricular content. Sir Jim Rose, page 39, para 130, ‘Independent review of the teaching of early reading, Final Report’, March 2006. In other words, regardless of the wide range of contexts across the world where the English language is taught for speaking, reading and writing purposes, it is the SAME English alphabetic code knowledge and the SAME phonics skills of decoding and encoding that need to be acquired. Our job as ‘teachers’ is to aim to be as knowledgeable and as effective as we can be to best teach and support our wide and varied learners in their wide and varied contexts. To this end, we are all participating in ‘continuing professional development’ (CPD). This is a shared commitment internationally and a work in progress – particularly important when unpicking how best to teach and learn the most complex alphabetic code in the world! This Phonics Training Course is highly practical, ultimately looking very closely at methods and materials that are designed to be as effective as they can be for supporting teaching, for supporting learning – and, importantly, for informing and supporting parents and carers of learners wherever possible. Teachers may be subject to various constraints ranging from political, philosophical and professional pressures to limitations of time and/or resources, or perhaps lack of support and commitment from others in their settings. Regardless of these factors, each one of us can take a personal responsibility to keep an open mind, to be aware of and preferably knowledgeable about the breadth of research and findings, and to trail-blaze and trouble-shoot in our scenarios. Am I teaching all my learners the essential knowledge and skills for foundational literacy in English based on what we know to date? How effectively and concisely am I teaching the essential content and skills? Am I providing my learners with the most supportive teaching and learning resources and practices most fit-for-purpose for the subject and the learners’ needs? What is my theory for how I can improve my teaching and the learners’ learning – in other words, can I analyse my provision generally and for specific learners and then what can I do to address my provision as necessary? In a school setting, am I working in collaboration with my colleagues to ensure the greatest continuity and consistency for the learners? In this particular field, in addition to historic and more recent research and classroom findings, we now have a great deal of personal testimony (evidenced by information via the internet) of teachers and parents relating noteworthy improved effectiveness and results as phonics provision is introduced or improved. How can it be, then, that so many professional people continue to protest vociferously about Systematic Synthetic Phonics provision ignoring or dismissing the findings of a body of research regarding the dangers of multi-cueing reading strategies amounting to the habitual guessing of words? And what are the hidden consequences of pupils in secondary schools with insufficient alphabetic code knowledge to lift new words off the page – longer, more technical and more challenging vocabulary far beyond their spoken language? What continues to be worrying is that some people, indeed many, fail to see the compelling need and the value of national snapshot testing of teaching ‘effectiveness’ (for example, how well learners can translate the words from printed code to spoken words accurately and efficiently). This is something so fundamentally important that it is, quite literally, about children’s life-chances. There has been wide protest, for example, about the statutory Year One Phonics Screening Check introduced in England by the Department for Education in 2012 (pilot in 2011). And yet the very existence of the Year One Phonics Screening Check in England quickly sharpened teachers’ minds about their teaching effectiveness as demonstrated by the significant year-on-year rise in children’s national average word-reading results. Teachers’ contrasting responses to the phonics check, however, serve to demonstrate that there is no common professional understanding or attitudes with regard to the teaching of reading and the assessment of reading. Wider afield, despite national governmental inquiries in America (‘Teaching Children to Read’, National Reading Panel, 2000) and Australia (‘Teaching Reading’, Department of Education, Science and Training, 2005) concluding that systematic phonics is more effective than mixed methods (as in England’s national independent review conducted by Sir Jim Rose, ‘Independent Review of the Teaching of Early Reading, Final Report’, 2006), nevertheless, multi-cueing reading strategies amounting to guessing words from various cues continue to dominate in America, Canada, Australia and New Zealand – and it could well be that this is still the underlying approach in England despite the sustained governmental imperative for Systematic Synthetic Phonics (SSP) in England – embodied in the statutory National Curriculum for English – and which specifically guides teachers not to promote the multi-cueing reading strategies. Disturbingly, intervention for the weaker or slower-to-learn children is still dominated on an international scale by the prevalence of the multi-cueing intervention programmes which are institutionally so well-entrenched particularly Reading Recovery (a whole language intervention programme developed in a whole language era by Marie Clay in the 1970s). Further, publishers in England and internationally persist with the Reading Recovery ‘Book Bands’ system for levelling children’s reading scheme books despite all the official changes to guidance in England including a clear steer to provide beginners with cumulative, decodable reading books and not reading books based on predictable and repetitive text that invariably include alphabetic code content beyond the children’s current knowledge. Is this really an acceptable state of affairs? 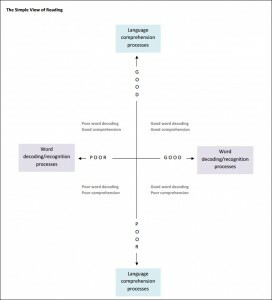 Multi-cueing reading strategies are known as the ‘Searchlights’ reading model in England and the ‘3-cueing’ system internationally – consisting of reading strategies which amount to guessing words from word shape, picture, context and initial letter cues – strategies discredited by science. 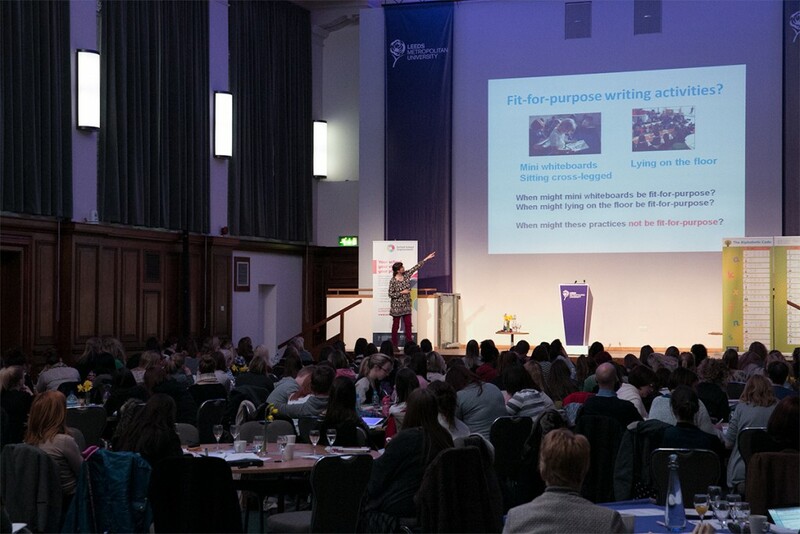 People following this Phonics Training Course are urged to detach consciously from the politics, educational philosophies, pressure, personal experiences and preferences which may unduly influence them – and to keep focused on the underlying principles of ‘objectivity’ and ‘effectiveness’ to continue the journey of wanting to be the best and most successful teachers. 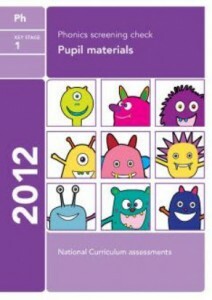 In any circumstances we can be good, caring and even inspirational, teachers – building mutually respectful relationships with our pupils/students/children – but ultimately it is very simple: We must teach them all the alphabetic code of the English language, and the associated phonics skills, as comprehensively as we possibly can to build reading and writing, understanding, confidence and fluency. We need to do this within a language-rich and literature-rich environment to develop oral vocabulary and language comprehension, to teach about the nature of books, and to encourage and inspire a sustained love of reading as enthusiastically as we can. This Phonics Training Course is divided into 14 ‘modules’. Each module is sub-divided into lessons, or ‘parts’. Each ‘part’ contains a video tutorial, printable notes/video slides, links to downloads, additional video, resources, research papers and further recommended reading. Each ‘lesson’ in Modules One to Twelve should be completed systematically and the ‘quiz’/progress check completed before the student proceeds to the next lesson/part. The ‘quiz’/progress check is graded, there is no pass/fail mark however and students may re-set and re-take in order to achieve a higher mark should they wish to do so before progressing to the next lesson/part. Module Thirteen describes the Phonics International programme and Module Fourteen describes the Oxford Reading Tree Floppy’s Phonics Sounds and Letters programme. These two Modules can be accessed at any time because course participants may need the information provided for their immediate teaching purposes. At any point during the course, the student may click on the ‘Contact Lesson Teacher’ or ‘Contact Course Teacher’ button for email support. The course can be completed at your own pace and with no time limits. We do, however, reserve the right do delete inactive accounts which have not been accessed for over 12 months.